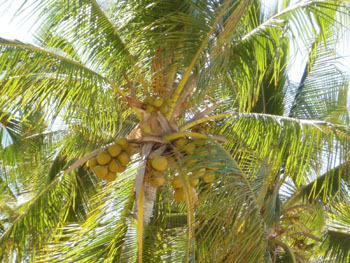 Medium sized palm, probably the "bluest" of all palms, known for its large, silver-blue colored leaves, and edible fruits. 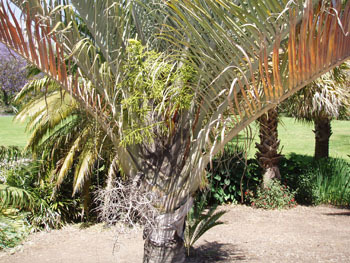 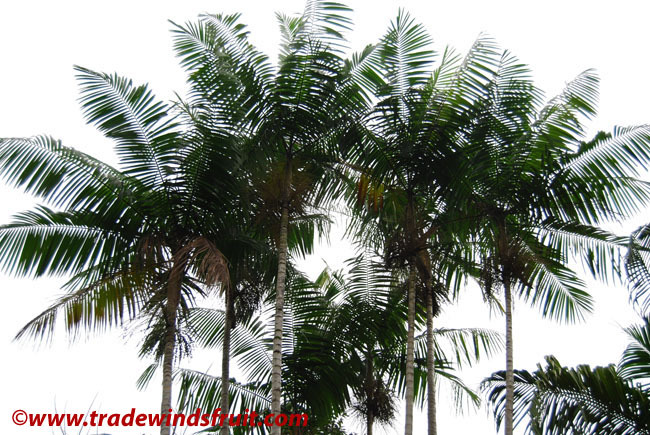 Small to medium sized palm, generally to 20-40ft. 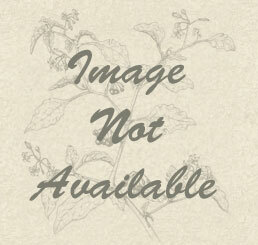 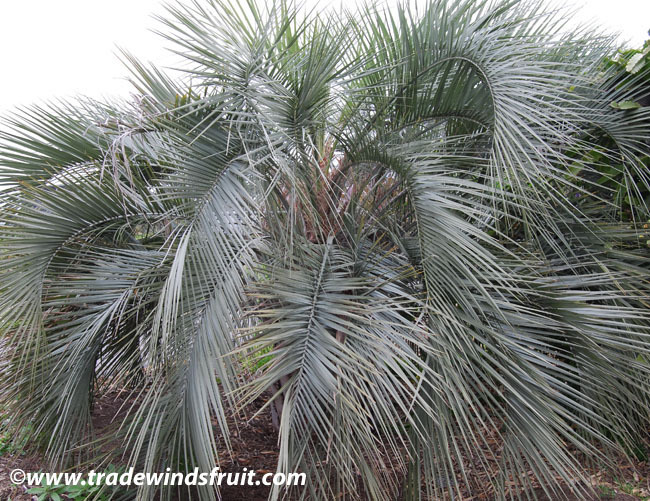 The elegant fronds are quite distinctive, most notably for their silver-blueish color. 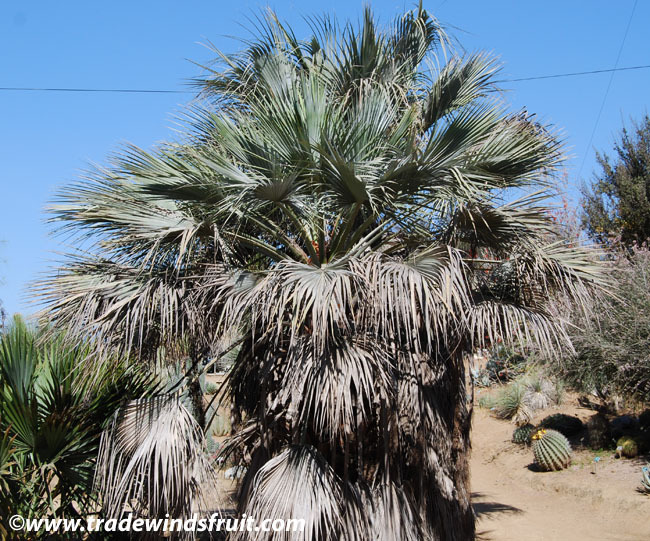 It is both drought and cold tolerant. 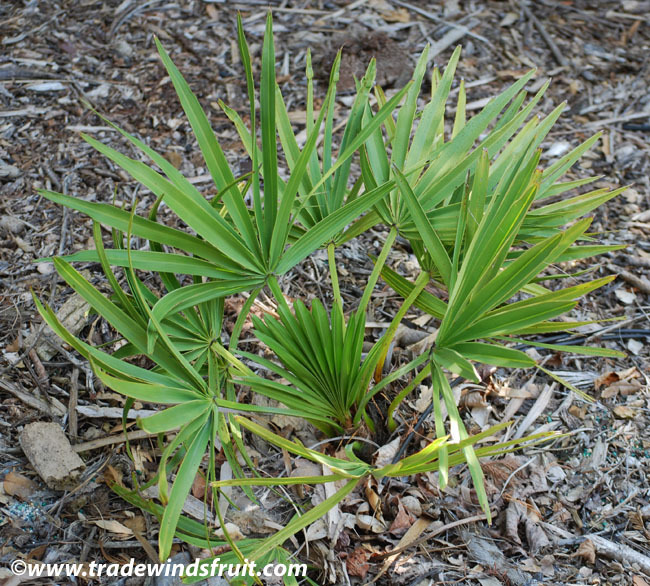 It prefers well drained soil, and needs little water when established. 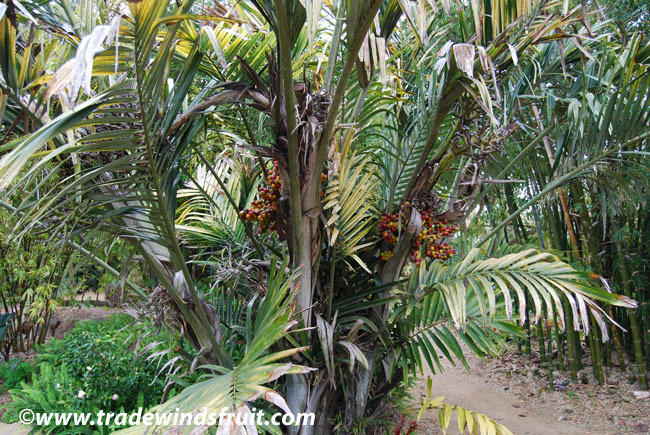 This palm also grows particularly well in alkaline soils. 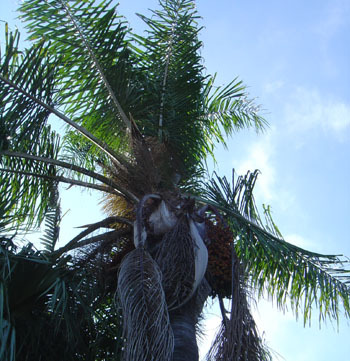 By seed, which show erratic germination from 1-10 months. 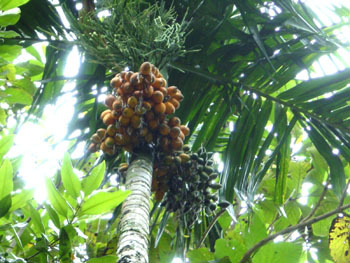 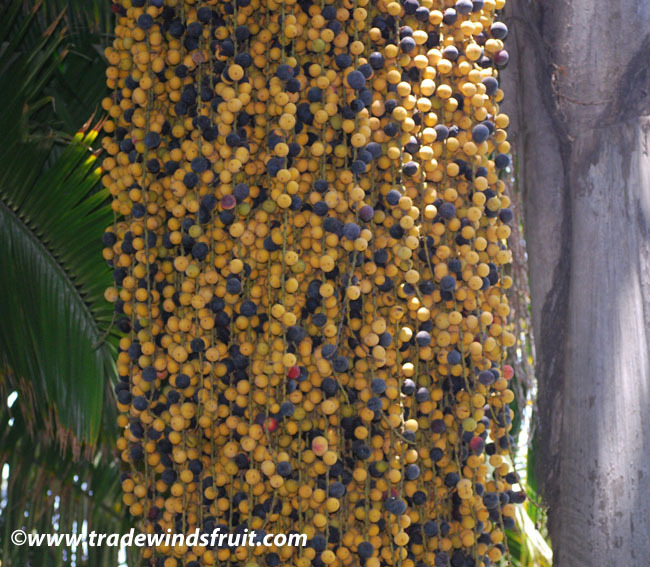 The 3/4" fruits are edible. 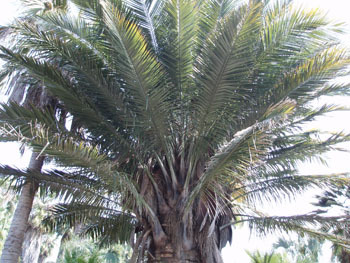 This palm is most commonly grown for its ornamental appearance, mainly due to its pretty, silver-blue colored, fan-shaped leaves.